FLUXUS: Russian Atlases, a singular exhibition that will bring FLUXUS works held by the Jonas Mekas Visual Arts Center in Vilnius, Lithuania to Russia for the first time will open at the State Hermitage Museum in St. Petersburg on September 20th. The central piece of the exhibition will be a series of maps drawn by FLUXUS founder George Maciunas that retrace the history ofRussia (1953). The works of Ay-O, Yoko Ono, George Brecht, John Lennon, Nam June Paik, Geoffrey Hendricks, Jon Hendricks, Alison Knowles, Larry Miller, Mieko Shiomi, Ben Vautier, Robert Watts, Emmitt Williams, Henry Flynt, Peter Moore and others are included in the exhibition. Also included are FLUXUS manifestos and charts. Lithuanian-born artist, architect, designer and “chairman“ of the FLUXUS movement, George Maciunas (1931-1978) radically challenged the idea of avant-garde art – as object, concept or commodity. FLUXUS, an international community of conceptual artists, poets and composers, redefined the role of the artist by substituting art for everyday tasks, experiences, actions, and sensations. Alongside of Maciunas’ “Russian Atlases“, the exhibition will feature visual works, videos and film stills by the legendary avant garde filmmaker Jonas Mekas who was a close friend and colleague of George Maciunas. “We are very proud that this exhibition is being held at the Hermitage and are thankful to Director Mikhail Piotrovsky for his vision that will allow an entirely new audience of art lovers and those who appreciate the unexpected to view FLUXUS works at one the world’s most prestigious museums. It’s a historic moment that is witness to the fact that art is a truly universal language,“ says Arturas Zuokas, Mayor of Vilnius, the capital of Lithuania. FLUXUS: Russian Atlases has been created in collaboration with The Jonas Mekas Visual Arts Center and The State Hermitage Museum. It is curated by Astrit Schmidt-Burkhardt and Anastasia Lesnikova. The exhibition is part of the “Hermitage 20/21“ program that features contemporary Western and Russian art. It is generously supported by The City of Vilnius, the Ministry of Foreign Affairs ofLithuania, the Azzara Foundation and Drofa Publishers. 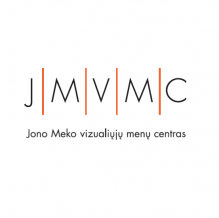 The Jonas Mekas Visual Arts Center, founded in 2007 in Vilnius, Lithuania, holds a large collection of FLUXUS works and archival material and is dedicated to promoting the art of the avant-garde.